DUAL POSITION SEAT: Switch your toddlers seat position from forward facing to rear facing by simply reversing the seat. 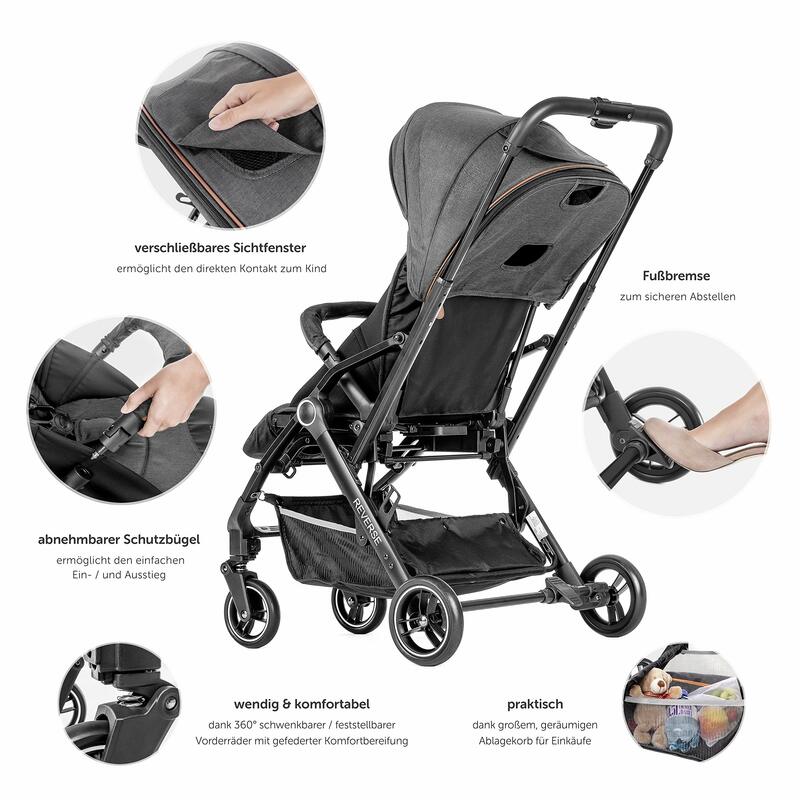 ONE HAND FOLDING MECHANISM: The convertible pushchair folds up very small (67 x 57 x 25 cm) and is a real space saver. Especially useful if you don’t have a lot of storage space. 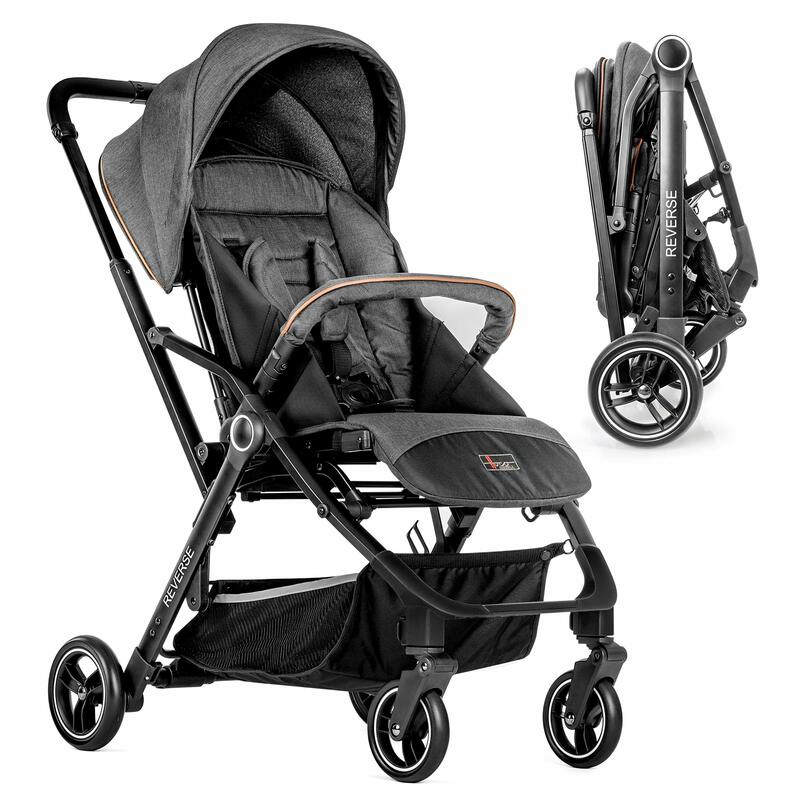 LIGHTWEIGHT & COMPACT: The two position stroller weights only 8 kg and is a great travel gear for active parents. 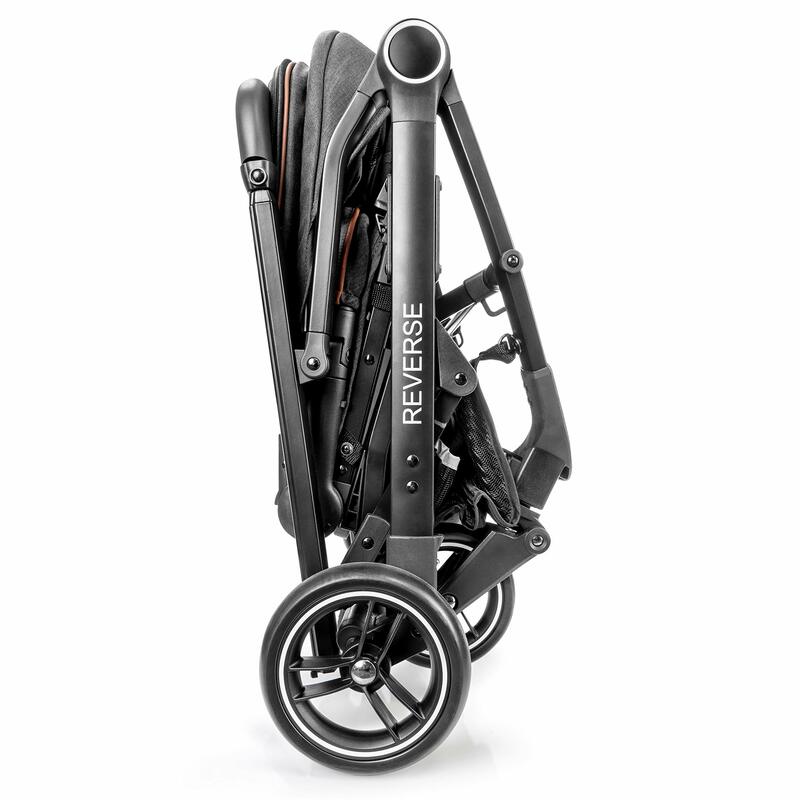 Take it with you on airplane rides, the bus or put it in your car’s boot. 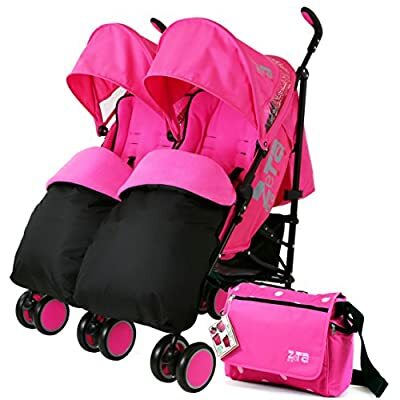 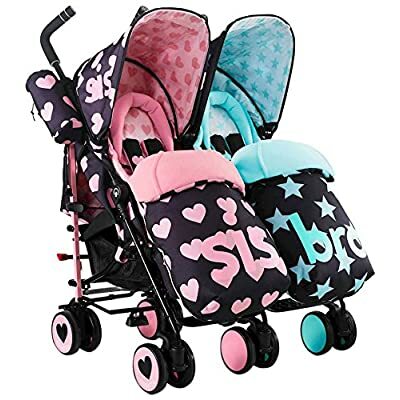 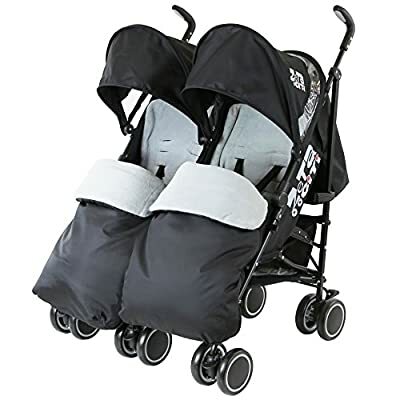 SMART FEATURES: The lightweight stroller features an underseat shopping basket for extra storage, a height adjustable sun canopy, a height adjustable handle bar as well as a removable belly bar. 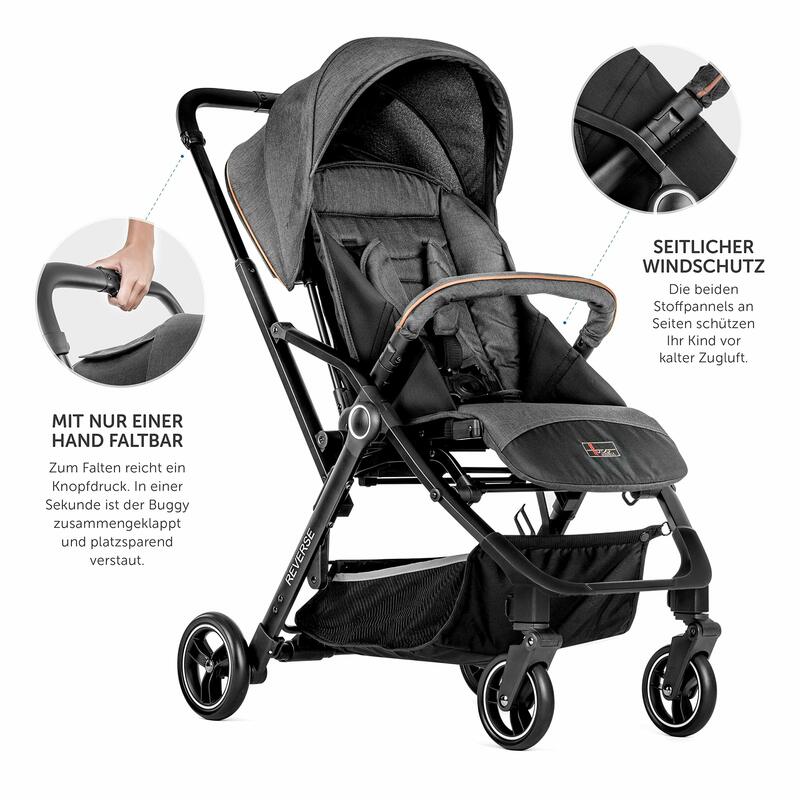 FULLY RECLINING BACKREST & LARGE CANOPY: The backrest has 3 reclining positions. 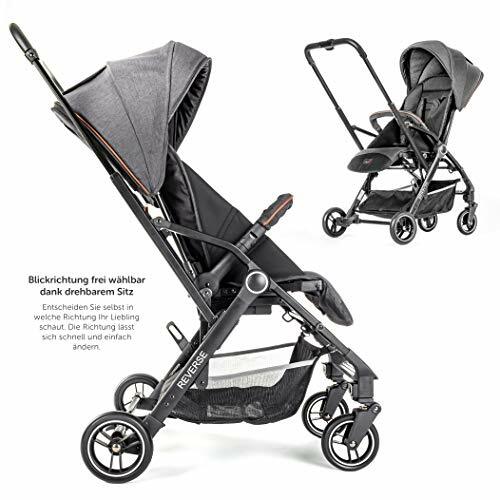 The full recline let’s your baby nap in a natural flat position. 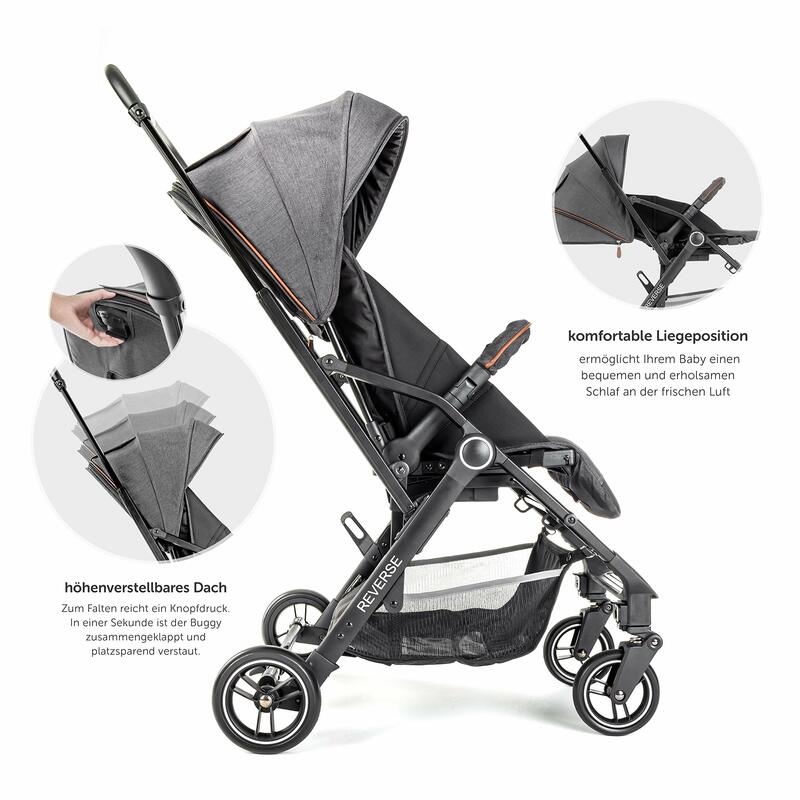 The XXL hood protects your little one against harmful sun rays and rain.